We are not lucky enough to have actual recordings of very many dance tunes from the Mexican and Spanish eras of California. A few dance pieces were included on Charles Lummis’ Edison wax cylinder recordings if there were words to them, in particular several pieces sung for Lummis by Porfirio Rivera: La zorrita, El sombrero blanco, El gallo copetón, and Los camotes. But the rest have been preserved for history by other sources. Unlike our four previous books organized by informant source (Songs from Rancho Camulos, Songs from the California Traditions of the Villa Family, Songs from Francisco Amate, and Music of the García Family of Los Angeles) seventeen of the forty-one pieces included in this collection are not included in our ten-volume Music of Early California collection. The new material includes hand-transcribed pieces from Gabriel Eulogius Ruiz that have only recently surfaced from the Ysabel Fages collection, and pieces collected by Lucile Czarnowski in her groundbreaking 1950 book, Dances of Early California Days. Another source of dance tunes is californio descendent Gabriel Eulogius Ruiz, who learned dances and dance music from the previous generation of his Santa Barbara family and worked hard to ensure the survival of this heritage. 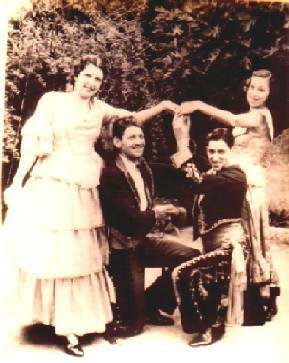 In 1925 the young Gabriel Ruiz formed a dance troupe, the Ruiz California Dancers, performing californio dances and music. In his later years Gabriel Ruiz undertook a project with California Alegre to document and preserve the nineteenth-century Spanish-language music of California, especially pieces from his family, recording an LP record called Danzas de Alta California. 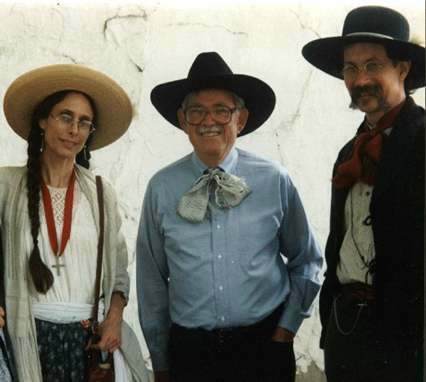 We have also have the benefit of his hand-written transcriptions of some pieces, preserved by the Fages family and donated to Los californios by Brian Hogan in memory of his grandmother, Isabel C. Lopez de Fages, and his mother, Nancy Fages Hogan. Two of those pieces, El son de Adalaida and San Luis Potosi Two-Step, have come to us recently and are not included in any of our previous publications. Lucile K. Czarnowski (1897-1985) was on the faculty of the University of California at Berkeley from 1923-1973 teaching folk dance, and was active in the early days of the Folk Dance Federation. In 1950 she published her groundbreaking book, Dances of Early California Days, that continues to influence, generations of dancers. A number of the pieces that she preserved are included in the new volume. Another collector and teacher of these dances was Professor Albert Pill, a folk dance teacher at UCLA during a similar period, who taught californio and Mexican dances, working with Padua Hills Theatre to document dances and music and to record the music for use in his classes. We have included a number of pieces from his recordings.